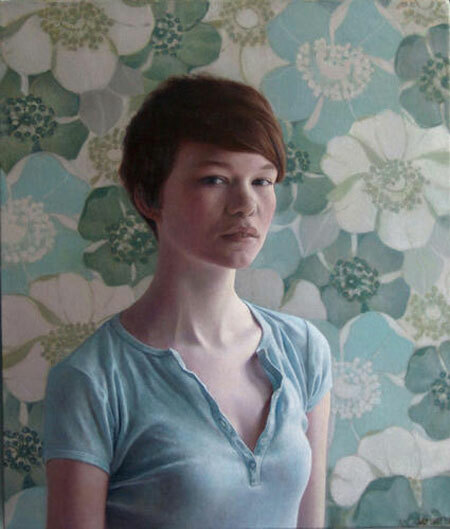 It’s been a while, but I had to come back to congratulate Shaun Downey (previously posted about here), his painting “Blue Coca” has been included in the BP Portrait Award Competition exhibition, and on top of that is being used as the main advertising image for the competition! I can easily see why, this is a stunning portrait that seems to reveal a great deal about the subject while simultaneously suggesting an inner life that remains mysterious. Great work! Image taken from the the star article about Shaun’s work, August 1, 2010.